The living is easy in this beauty! Tastefully remodeled and pride of ownership shows. 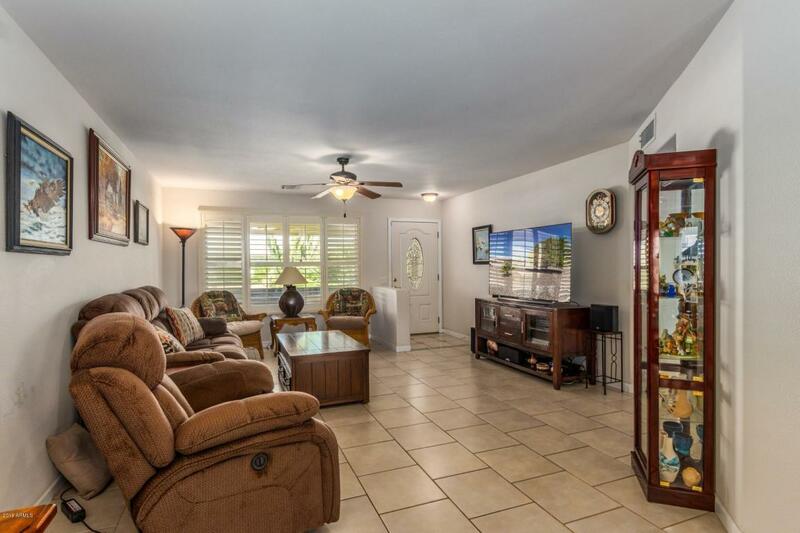 Great room has front view window, open to dining area with French door access to your tiled, covered patio overlooking your care free backyard. Bright kitchen with recessed lighting, plenty of cabinets, granite and pantry. Master suite and second bedroom both feature walk in closets and bathrooms upgraded with granite. All popcorn has been removed. 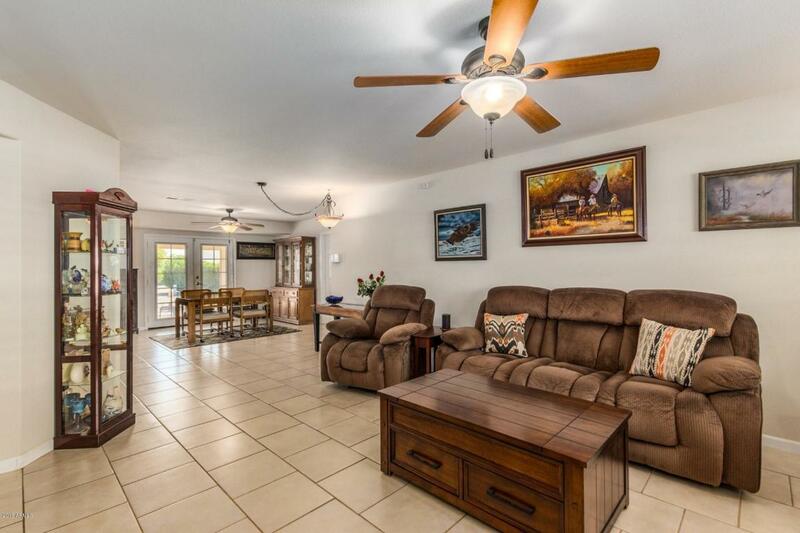 Plantation shutters, ceiling fans, neutral paint and tile throughout, except plush carpet in bedrooms. The office and laundry room are conveniently located on the other side of the home. 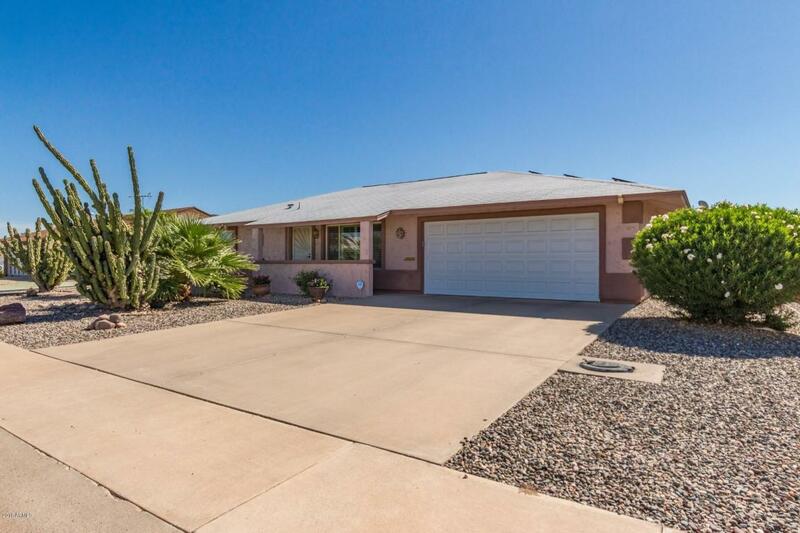 Newer HVAC, roof and exterior stucco. Solar panels with special low fixed monthly rate for term of lease! 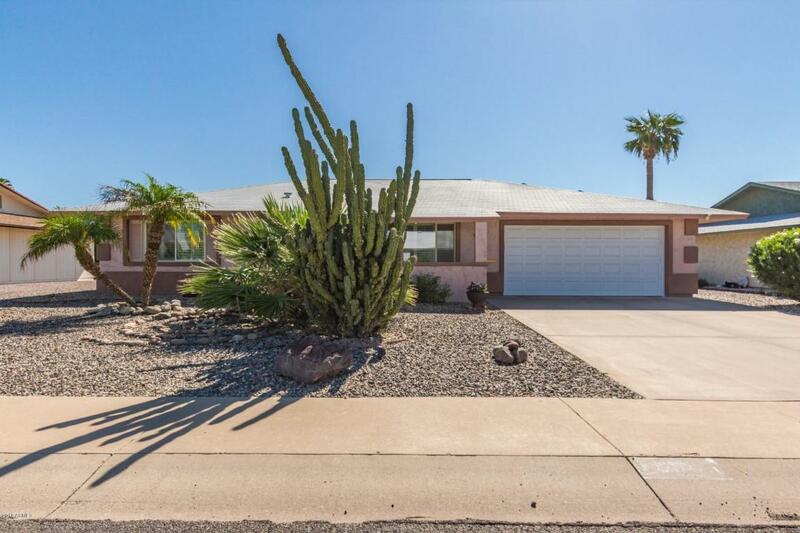 Located in the heart of Sun City and ready for you to move right in!